Head goes round with the opportunities that are blinking on the horizon and choices keeping our eyes. The diverse world of e-Commerce continues its persistent development offering the novelties for managing digital business. Hundreds shopping carts are ready to satisfy the tastes and requirements of moody retailers who try to get the most suitable solution. For last few years CMS-based platforms have become more frequent option that invite web store owners’ attention. Side-by-side to WooCommerce and VirtueMart, the most popular plugins, there is Drupal Commerce which also appears to be a strong player for world’s community. Starting from the release, Drupal Commerce has been a solution that can meet the demands for administering stores of all sizes. An important feature that differs it from other platforms is the structure as this shopping cart has been developed not like application, but framework. Using Drupal Commerce building a flexible e-shop appears to be a snap, especially when you take into consideration that solution is based on well-known content management system. Hence, let’s highlight possibilities that draw attention of e-merchants and make them decide on this shopping cart. 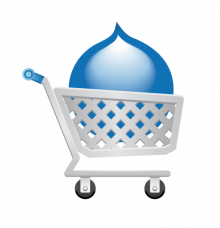 As an open source shopping cart Drupal Commerce provides an access to all features. And its lean and mean core enforcing the development standards, is able to provide retailers with a great possibility to customize store with no efforts. Also, platform software doesn’t cost a cent, so simple installation can become a good start of a big trip to success. Drupal Commerce is based on Drupal 7 that is the newest stable and most powerful version of this CMS. This is considered to be additional advantage which extends shopping cart possibilities for content management. Despite this fact, you can add other useful functions just installing modules that are available for Drupal. You can install and start managing Drupal Commerce store really easy performing only two steps: 1) setting up Drupal and 2) adopting Commerce Kickstart. First, there is a chance to try how everything works with a demo store offering eye-catching themes, catalogues and other out-of-box features. There is no need to doubt about the features Drupal Commerce provides as it is staffed with main important functions. Core solution suggests product admin system, shopping cart and checkout form. Together with these possibilities, benefit from multiple languages and currencies for business activity all over the world. Store look is one of the key elements that increases traffic and sales, and Drupal Commerce can help to enhance the rates with design opportunities. There is available theme layer where you can apply any of dozens of free or paid templates. Don’t forget that thanks to flexibility of shopping cart performing customizations is possible absolutely for each element through its interface. In addition, you can integrate with a variety of existing social networks like Facebook, Twitter, Pinterest, etc. This is a cool opportunity for customers to share their shopping experience with friends or even promote the products. Commerce Guys are the creators and experts in Drupal Commerce and appear to be official platforms’ Support Team. They are ready to help round-the-clock with highly professional service and advice. Drupal Community has always been a strong side of the solution. Its number increases constantly with activity on forum, meetings and events. 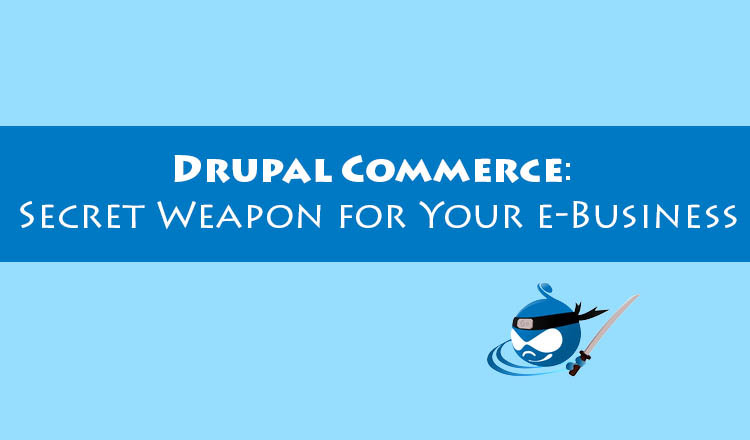 Suggesting useful and rich feature range Drupal Commerce can be a wise option for your e-business. Therefore, maybe you feel that current shopping cart limits the possibilities for growth? Or have you decided to create a new store? Move to Drupal Commerce and climb to the heights of digital market success.